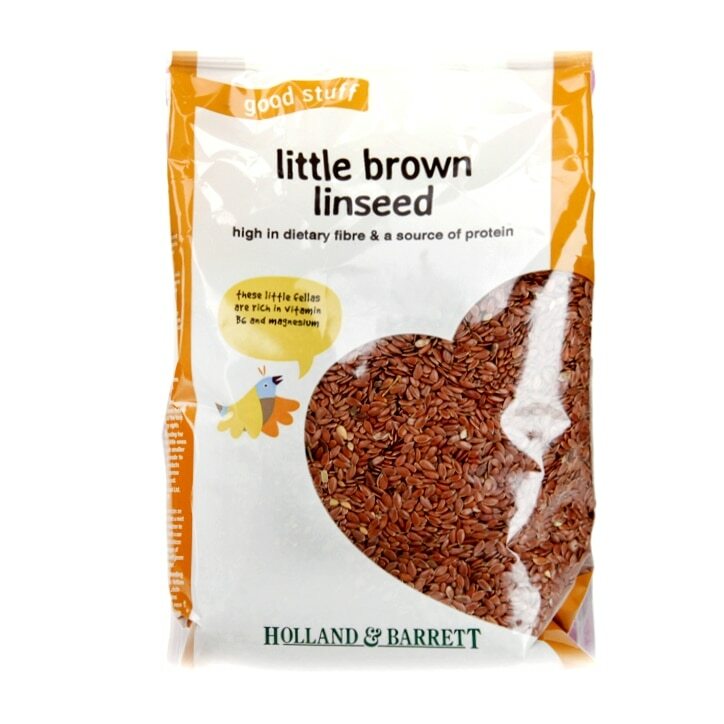 Holland & Barrett Brown Linseed are rich in vitamin B6 and magnesium as well as being a great source of protein. Sprinkle on your oats in the morning for a healthy kick start to your day! Did you know that these little fellas are rich in calcium and iron and are sometimes known as 'flaxseed'? Holland & Barrett Brown Linseed is rated 4.8 out of 5 by 67. Rated 4 out of 5 by Jax1 from Linseed Good seeds! Great quality! Fab price! All in all perfect! Rated 5 out of 5 by Swargirl from Healthy linseed I buy Linseeds regularly as it is good for bowel health. This is the main reason I buy this. I love it and would recommend it.